One year ago I did this simple manicure on a holo base. I love this kind of nail art, just a simple geometric stamping with a beautiful polish as my base. Click on this link to read more about this manicure. Lo scorso anno ho realizzato questa manicure semplice su base olografica. Adoro questo tipo di nail art, solo uno stamping geometrico su una bella base. Fai click su questo link per saperne di più su questa manicure. 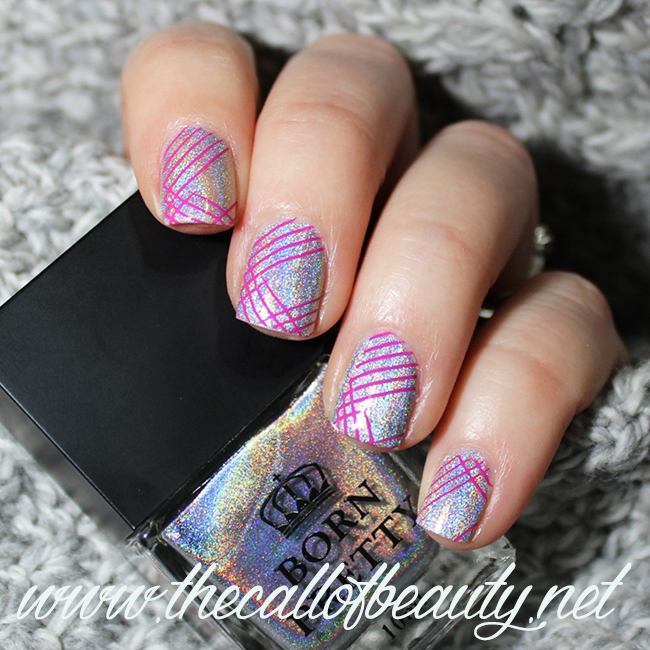 The holo nail polish is gorgeous and I like how the pink lines look on it! Born Pretty has some nice polishes!